India claimed yet another comprehensive win by 90-runs against the Black Caps to take a 2-0 lead in the 5-match series. 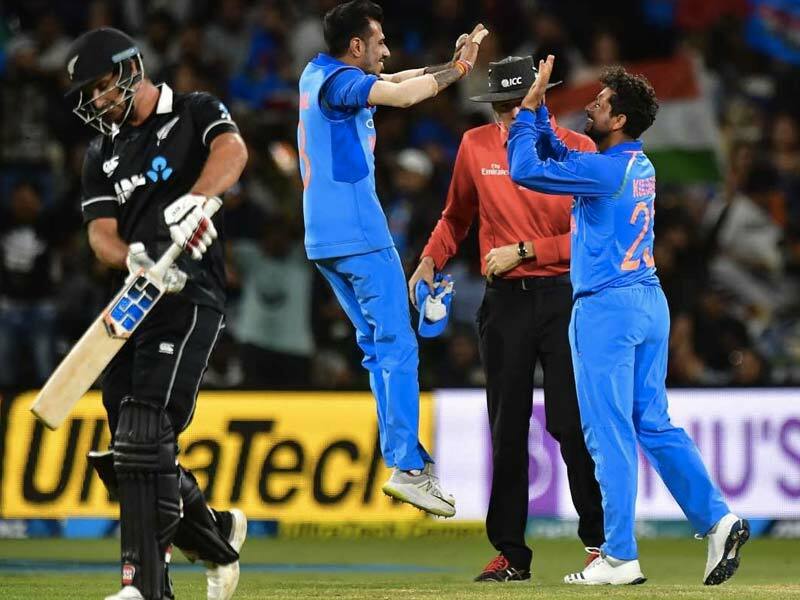 Having set what looked like a par total [4-324] after a 154-run stand between Rohit Sharma and Shikhar Dhawan had set an ideal platform, the Indian bowlers rose to the occasion yet again to bowl out the hosts for 234. 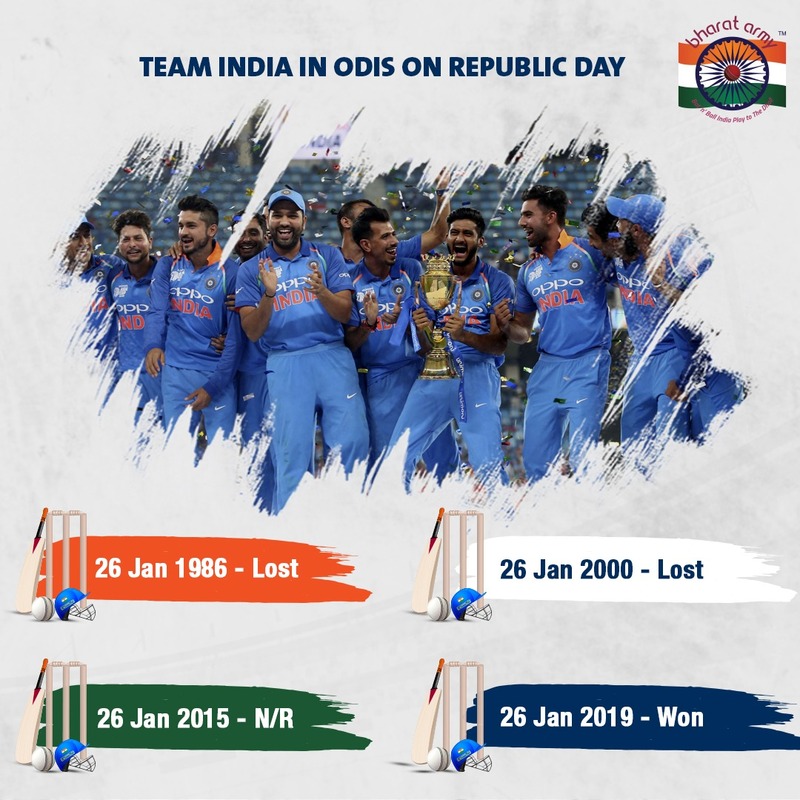 Again, it was the seam bowlers in Shami and Bhuvneshwar, who set the tone by accounting for Guptill and Williamson inside the first 10 overs before the spin twins- led by Kuldeep Yadav and the vile Kedar Jadhav did the demolition job to claim a comprehensive win on Republic Day. 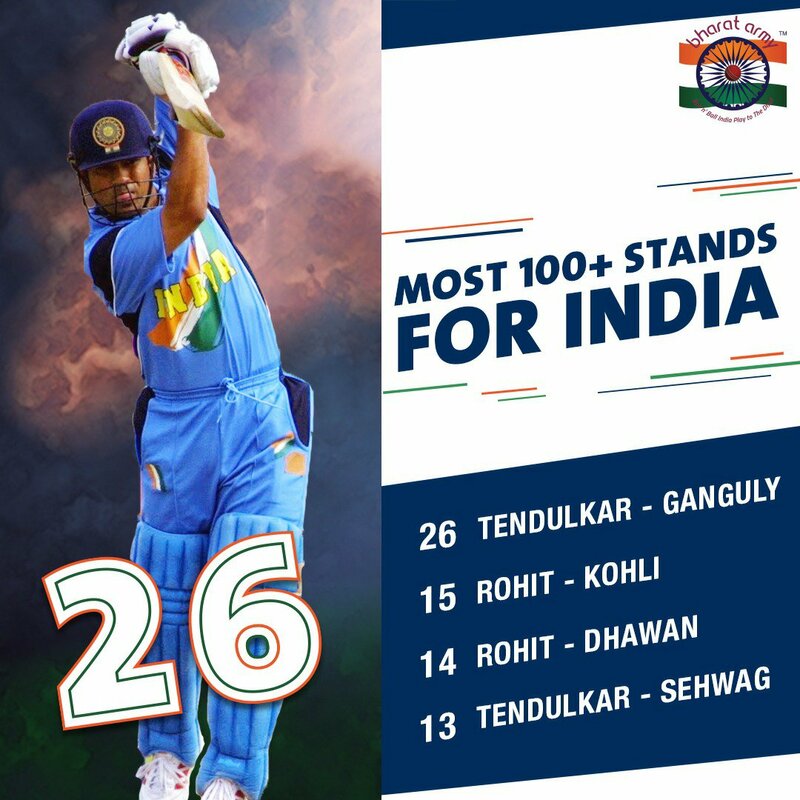 1st- Saturday's victory by 90-runs was India's first-ever ODI on Republic Day. While India lost to Australia, both in 1986 and 2000, the match in 2015 was abandoned due to rain. 1- India's win [by 90 runs] at the Bay Oval was their biggest win against the hosts in New Zealand. 14th- The opening duo of Shikhar Dhawan and Rohit Sharma have been the cornerstone of the ODI team's success ever since the 2013 Champions Trophy. The duo was at it again in the 2nd ODI, laying a solid launch-pad [154-run partnership] for the batsman to follow. This was Rohit & Shikhar's 14th 100-plus partnership for India in 95 innings and have racked up 4295 runs. 1st- Kane Williamson registered his first sans 50-plus score against the Men in Blue on his home soil when he chopped it onto his stumps off Mohammad Shami. 5- Kuldeep Yadav [ wrecked through New Zealand's lower-middle over to claim a 4-wicket haul in successive games. 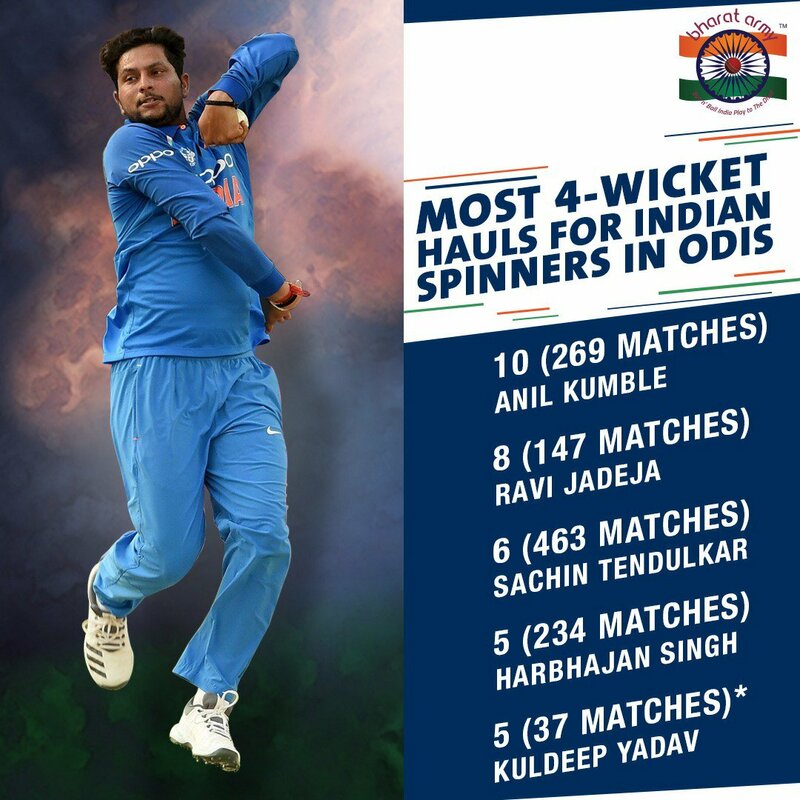 Kuldeep now has five 4-wicket hauls in 37 matches. 84.00- MS Dhoni's average against the Kiwis in New Zealand. Dhoni scored a 33-ball-48 in today's game and the former Indian captain now averages 84.00 in New Zealand- the highest for an Indian batsman in ODIs.